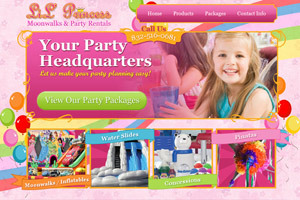 Big Splash Web Design created a custom moonwalk website design for Lil Princess Moonwalks, a new, family-owned and operated business in Pearland, Texas, specializing in rental items for children’s parties. The owners needed a site with high visual appeal, easy-to-access information on products and packages, a map of their delivery area, and contact information. 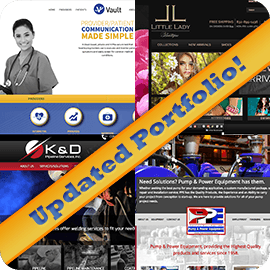 The new site, with a vibrant color scheme, makes use of visual shortcuts in the navigation, and a Home page comprised of rotating “Featured” banners to emphasize the visual elements of the site. 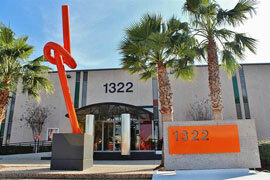 We also host their site with optimal speed and unlimited emails.